Sam, Seth, Tim, Bernie and Staffan. 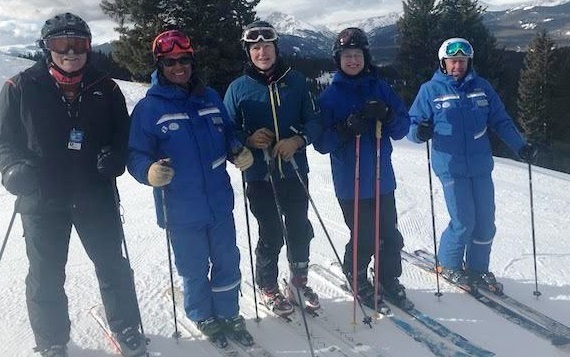 Bernie D writes: Loved skiing with Seth, and would definitely do again next year. I learned more in these two days than ever before. The continuity of having same instructor, very small class size (key! ), and such a skilled teacher was phenomenal. Seth has a great ability to break down more complex actions into small parts, teaching one at a time. Great teacher. Enjoyed meeting you all! Once you know available dates let me know please.